​Rotondo Warehouse is a full-service public warehouse and third-party logistics company located in Syracuse, NY. We have been providing distribution solutions to a broad range of customers for over 75 years. Our mission is to provide our customers with the highest level of service at the lowest possible cost. We have earned an outstanding reputation for quality, integrity, and reliability. Our distribution center (DC) customers reduce warehousing costs by taking advantage of the area's competitive real estate and labor costs compared to larger markets and reduce their transportation costs by using CSX Railroad to cross-dock their products. Our contract customers save money by taking advantage of real estate economies of scale, flexing their space requirements as needed, and by gaining efficiencies in labor costs. 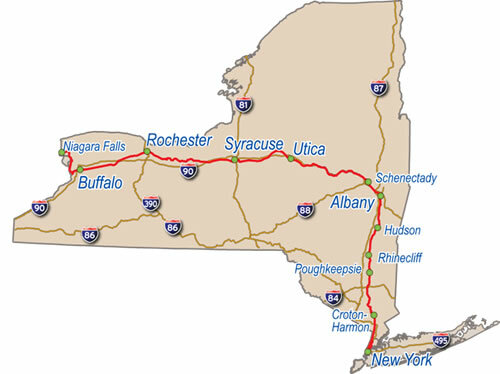 We offer competitive next-day truckload and LTL carrier service to all of the major northeast markets. Our company has worked with Rotondo Warehouse for public warehouse services for over 15 years. Our products can be challenging to handle yet we have experienced consistent exceptional service from Rotondo. Their operations personnel have worked closely with our facilities on continuous improvement exercises which have helped reduce damages and improve inventory accuracy. Their administrative staff handles our customers professionally, as our own customer service group would. We appreciate the longstanding partnership we have with Rotondo! Wendy Kizman, Oil Dri Corporation of America.